Be Bold, Be Traditional, Be Fun, Be Cost Effective–with the Insight Modular Sign System! Color match background and text to your logo colors-this includes text matching! 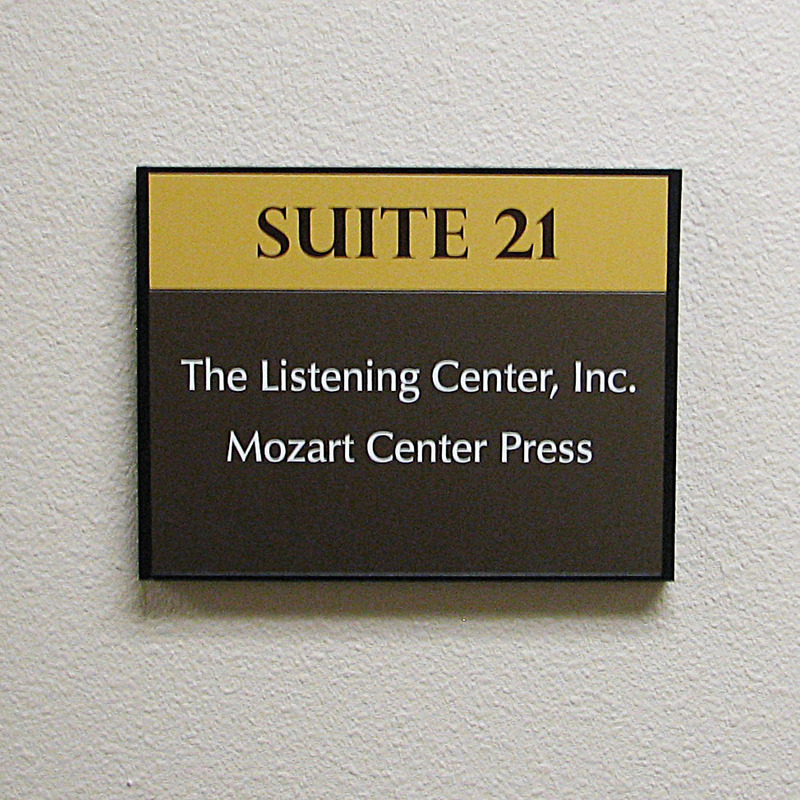 Perfect for suite signs, directory and wayfinding signs alike. Resizable and interchangeable-put blanks in when a office suite is vacant. Sustainable by design. When the message changes, replace the text insert, not the entire sign! But, most of all, be confident with Insight Modular Sign System (IMS System.) We customize an infinite offering of sizes, insert configurations and option finishes make IMS System the preferred choice of property managers, corporate centers and more. Our fully customizable system provides unlimited options to design one-of-a-kind signs. When change occurs, we just replace the copy insert, not the entire sign. Making changes to your wayfinding system is quick, easy, economical and sustainable. Perfect if you are a property manager looking to acquire LEEDs certification for your office building(s). 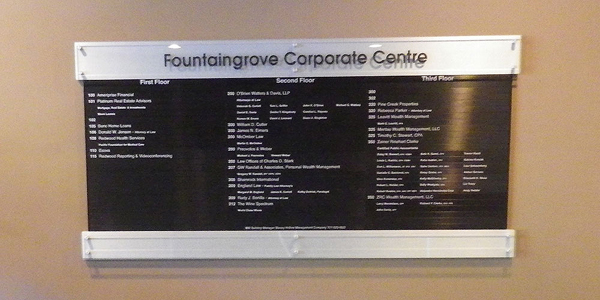 We partnered with the property manager at Fountain Grove Corporate Centre to start converting all of their directory and wayfinding signs- a necessary step in order to receive their LEEDs certification. 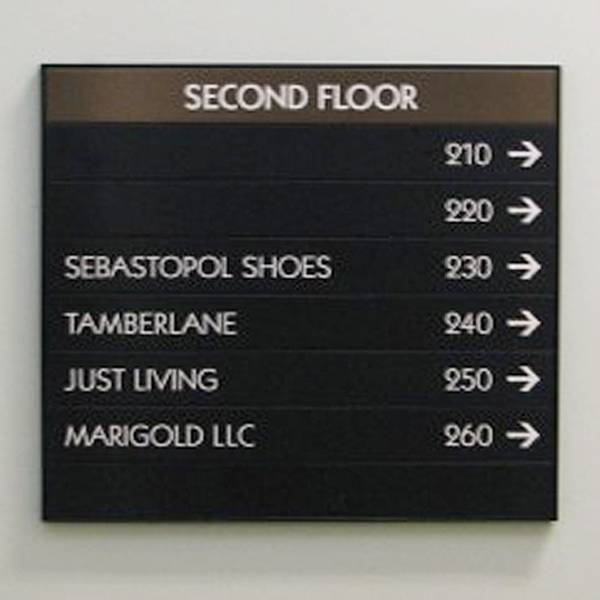 This directory sign was the first sign of many that we will be creating for them in a multi-stage redesign. A matte black flexible directory board that can easily be reconfigured was paired with brushed aluminum header and footer with a custom class insert, the changeable text is brush aluminum vinyl. An elegant sign that is easy to read, easy to maintain, and easy to update-a frequent need, since many of their established tenants like update their individual employee listings on a regular basis. The Insight Modular Sign System makes updating a no hassle solution. We determine the profile needed: Directory sign, wayfinding sign etc. 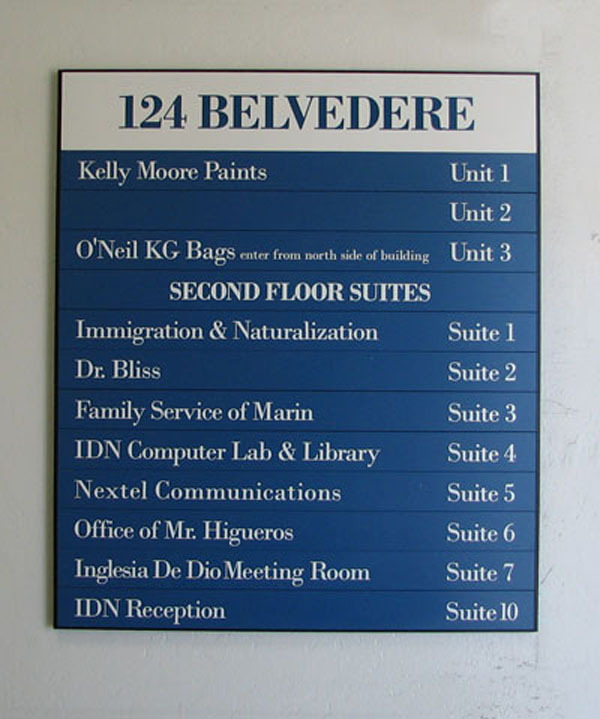 Let the creative team at Insight Signs & Graphics partner with you to add the Insight Modular Sign System to your properties directory and wayfinding needs. Don’t wait – give us a call at 707-887-1303 or contact us today to request a FREE estimate.